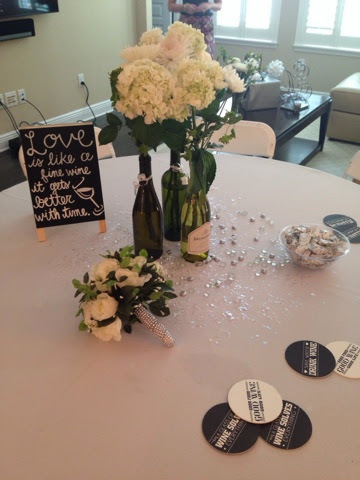 So a friend of mine is getting married and I am more than happy to add my touch of creativeness to decorate! 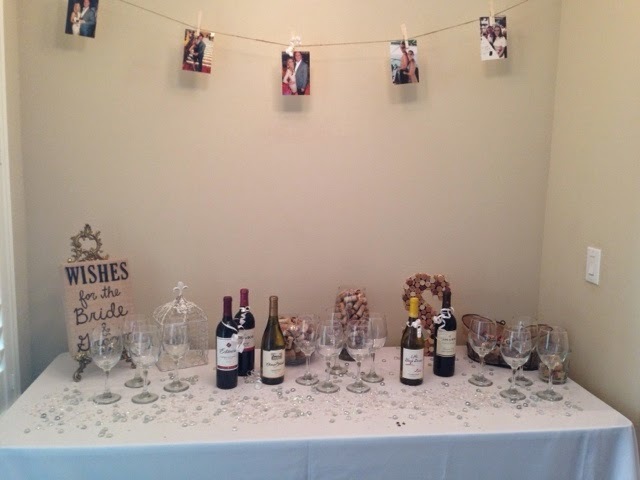 She wanted a wine theme so I thought that burlap, corks, and of course wine bottles would be the perfect touches! 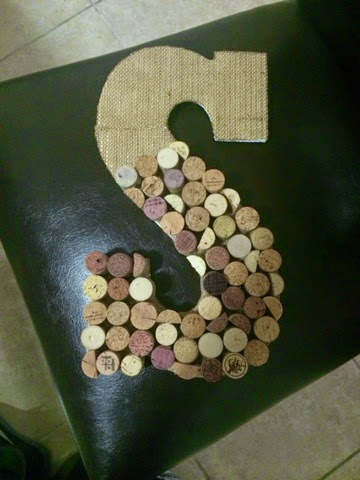 Her new last name begins with an S so we took olds corks and cut them in half to not use as much and to fill in the spaces! 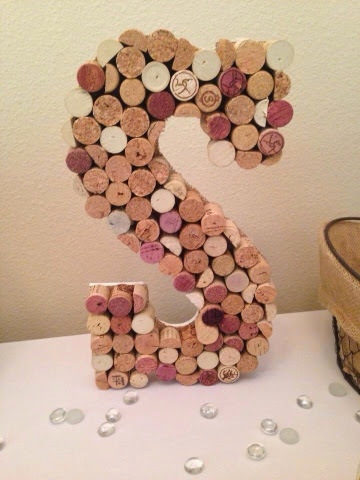 The letter was $5 and the corks were saved from before. 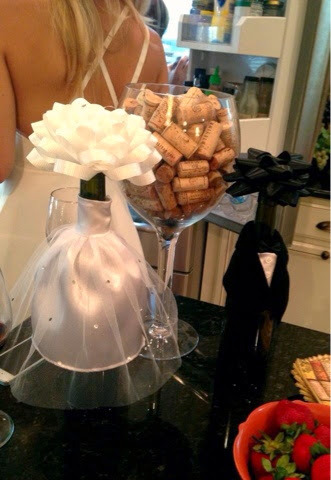 You can also buy a package of corks at a local party store. 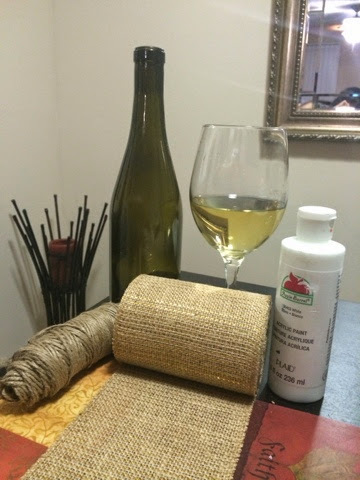 The burlap came in a roll that was $10 and was well enough to last and have extra instead of buying material. 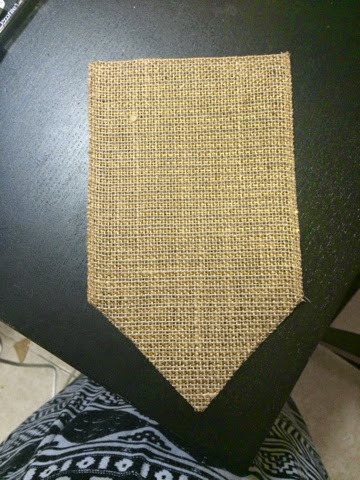 It also came in the perfect shape for the banner I planned on making! 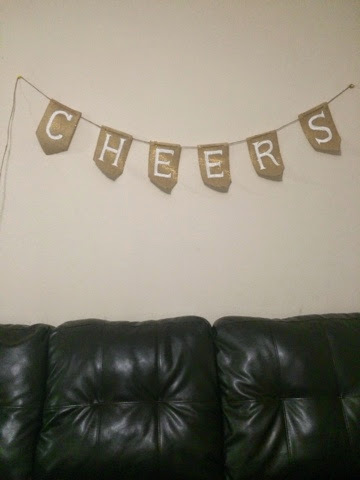 I used white acrylic paint and a paint brush for the letters. 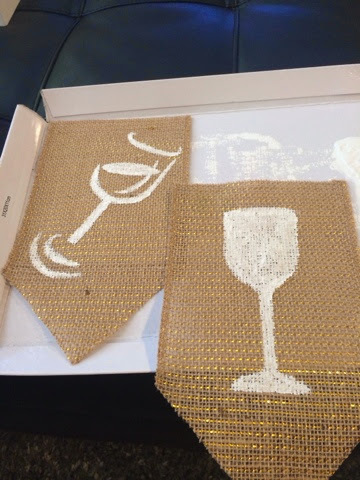 You can also buy stencils if you do not feel comfortable painting them yourself. 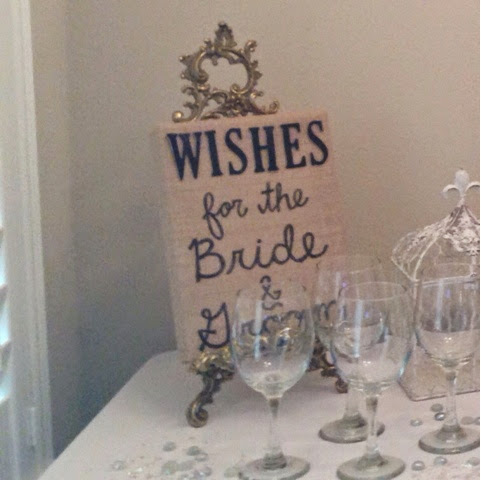 This was a canvas also purchased at michaels that I used a black paint marker to write wishes for the bride and groom! 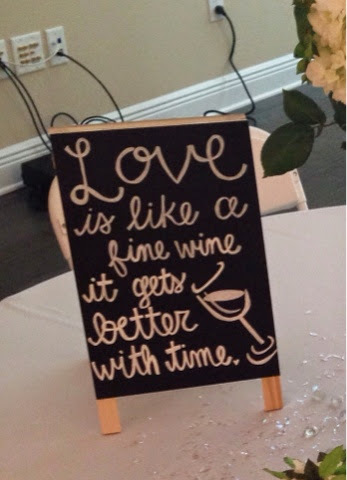 This small easel chalk board is from Michaels as well and I just wrote a little quote with a chalk market! 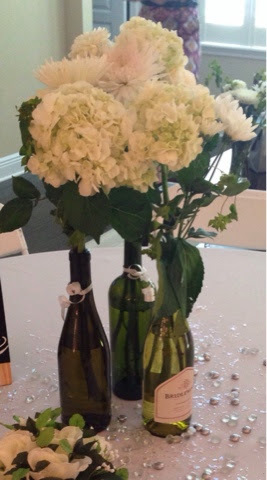 The wine bottles were a very nice touch for a case with pretty flowers inside. 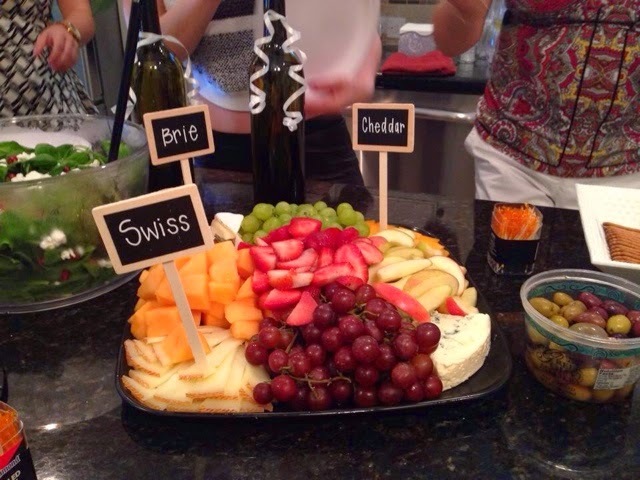 I also used the chalk markers to write the different types of cheese on the platters! 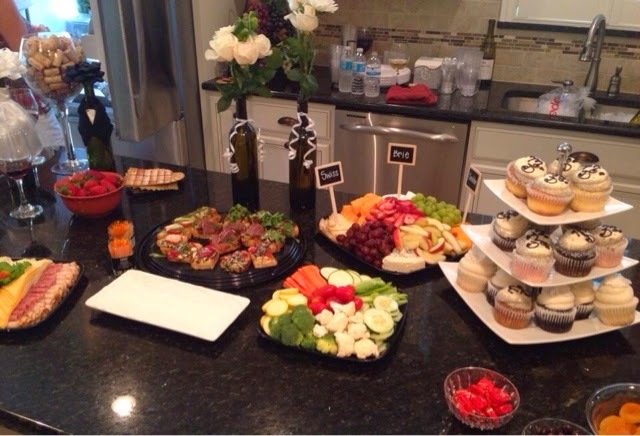 You can't drink wine without cheese! The final product! 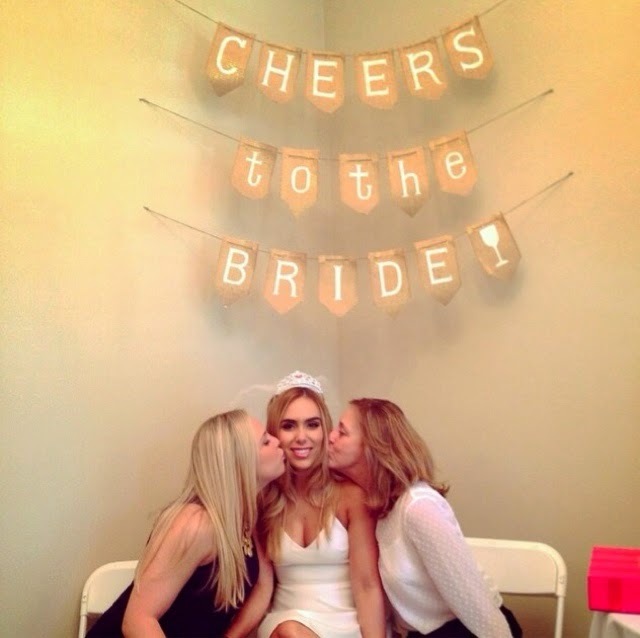 It is not only a good decoration for the bridal party but something she can save for years to come! The final product of the banner! 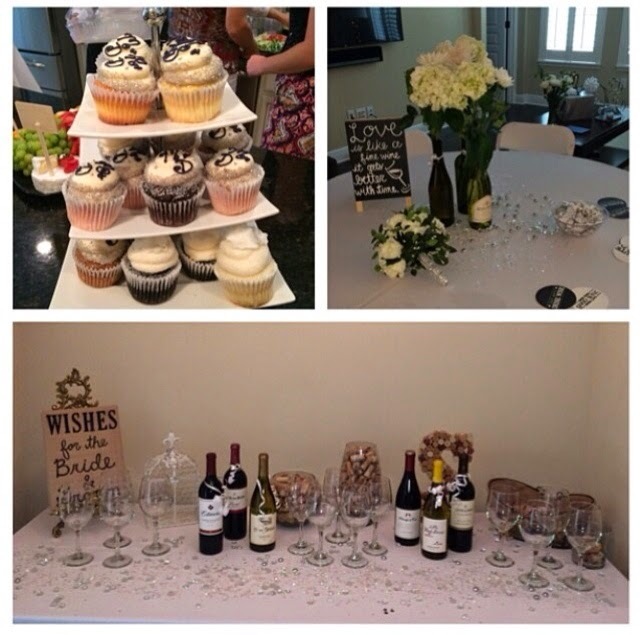 Here are pictures of the final bridal shower outcome! The kids came out after the reception and they were happy as can be. Kids adored the toys, tvs, games and their little pizza party They all said that was their favorite part of the wedding. Oh my! This is gorgeous. 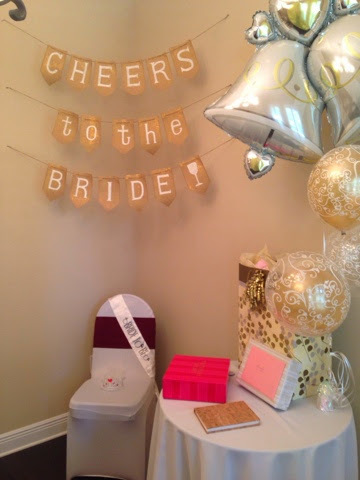 I have also booked a very nice party venue for my sister’s bridal shower and I am going to do everything to make her day a really special one. It was great coming across this post. I must save this and also share it with her friends.Oh my! This is gorgeous. 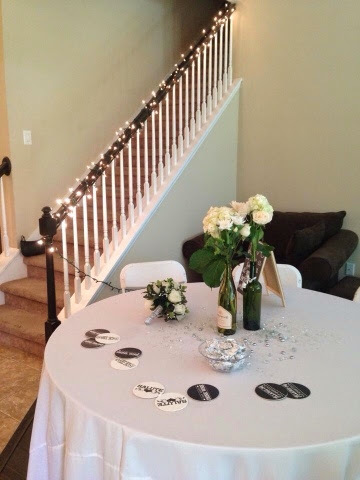 I have also booked a very nice party venue for my sister’s bridal shower and I am going to do everything to make her day a really special one. It was great coming across this post. I must save this and also share it with her friends.